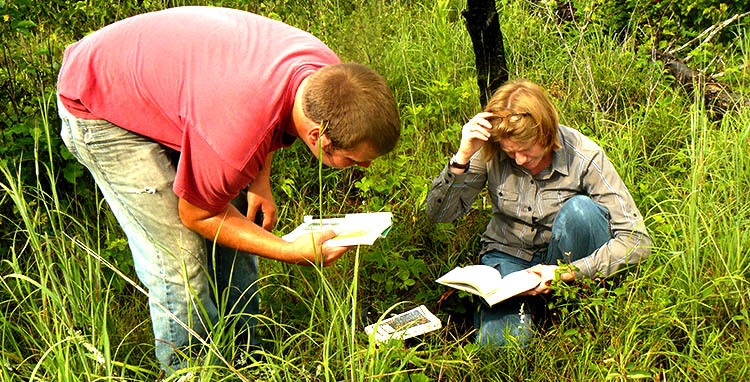 Easy access and abundant natural features make Minnesota state parks the perfect place for a variety of resource-related research. Animal inventories, geological investigations, archaeological surveys, and environmental monitoring are just a few examples of research projects that take place in Minnesota state parks every year. Scientific research in state parks increases our understanding of natural and cultural resources, and often leads to information that can be used to better manage these resources into the future. Researchers, university staff, other governmental agencies, and independent contractors are strongly encouraged to carry out research in Minnesota State Parks. Researchers must submit a completed research application to the Minnesota State Parks and Trails resource management program. For more information, contact Tavis Westbrook, Resource Program Coordinator: [email protected], 218-302-3255. Research objectives, design, and methods. The fieldwork schedule and anticipated end date. Methods of collection and disposition of specimens. Researchers must submit a copy of their findings to the Minnesota State Parks and Trails no later than two years after completion of the project. Researchers may need additional DNR permits to conduct certain types of scientific research, or to conduct research on other DNR-administered lands.